A shallow layer of cold air near the surface and an incoming storm system are creating the perfect setup for a significant ice storm in the middle of the country. 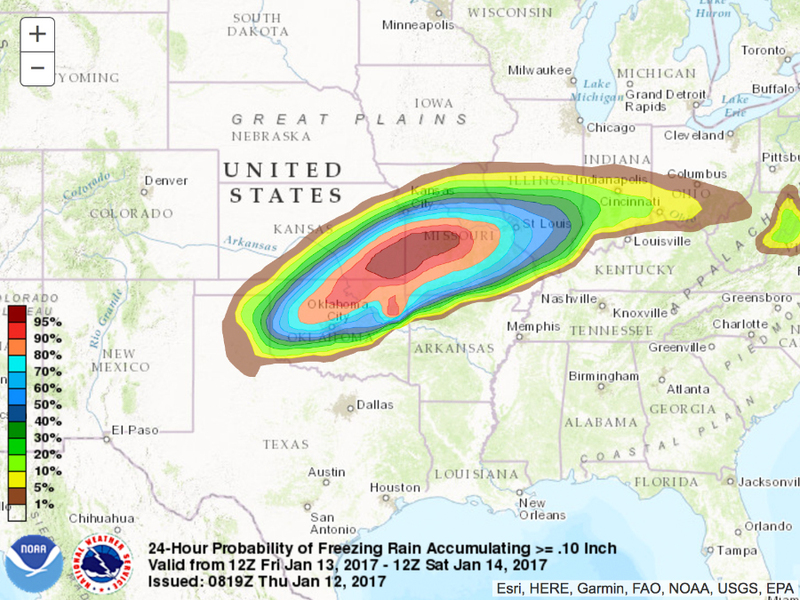 The best chances for heavy ice buildup are in Oklahoma, Kansas and Missouri, but parts of Texas, Illinois, Indiana and Ohio could still see a glaze of ice on Friday evening and into Saturday. It only takes a small amount of ice — a tenth of an inch or less — to cause slippery roads, which can cause accidents and travel delays. 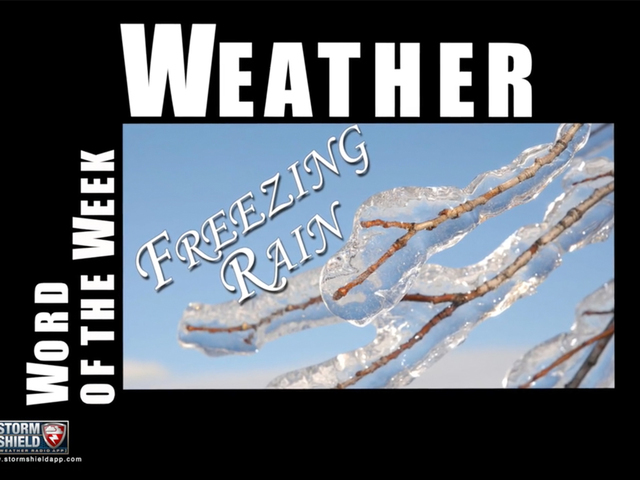 A slightly bigger buildup of ice — up to a quarter of an inch — can build up on trees and power lines, weighing them down and eventually causing widespread power outages. Both scenarios are possible beginning Friday and lasting into the early hours of Sunday morning. Regardless, those who live in any of the nearly dozen states being affected, preparations should be made now.